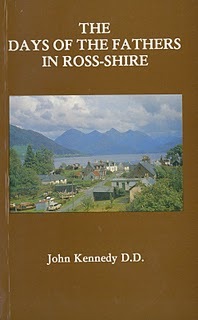 The Days of the Fathers in Ross-Shire (Northern Chronicle, 1927) gives an anecdotal history of some of the great Reformed and evangelical men who preached the gospel in the Northern Scotland region of Ross-Shire. One of the ministers profiled in the book was named James Fraser (d. in 1769 in his 69th year of life after 44 years of ministry), and one of the things the book notes was that Fraser had a very unhappy marriage. The account of Fraser's unfortunate marriage begins, “A cold, unfeeling, bold, unheeding worldly woman was his wife.” It continues, “Never did her godly husband sit down to a comfortable meal in his own house, and often would he have fainted for sheer want of needful sustenance but for the considerate kindness of some of his parishioners.” His friends would hide food near his home so that he would not starve to death! On long and cold winter evenings his wife denied him a fire in his study. "Compelled to walk in order to keep himself warm, and accustomed to do so when preparing for the pulpit, he always kept his hands before him as feelers in the dark, to warn him of his approaching the wall at either end of the room. In this way he actually wore a hole through the plaster at each end of his accustomed beat...."
i know this is an old post, but a mutual friend directed me to it (certainly not because it's a description of her!!). What a gracious response the pastor gave, but oh, how awful to be the person responsible for sanctifying a person to that extent!